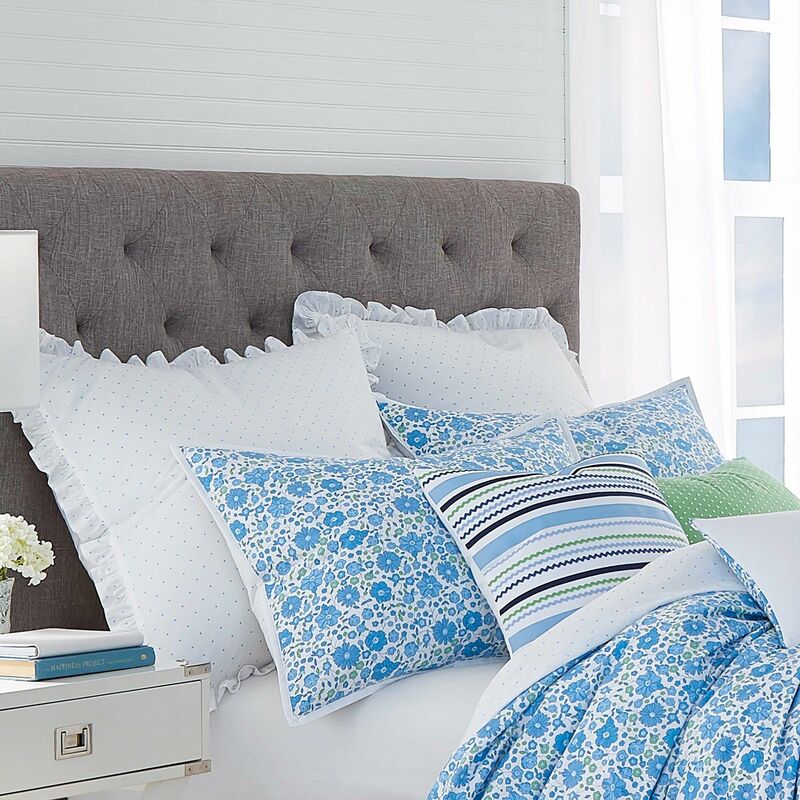 Our Laurel Falls Comforter Set adds a fresh, colorful vibrancy to any bedroom. 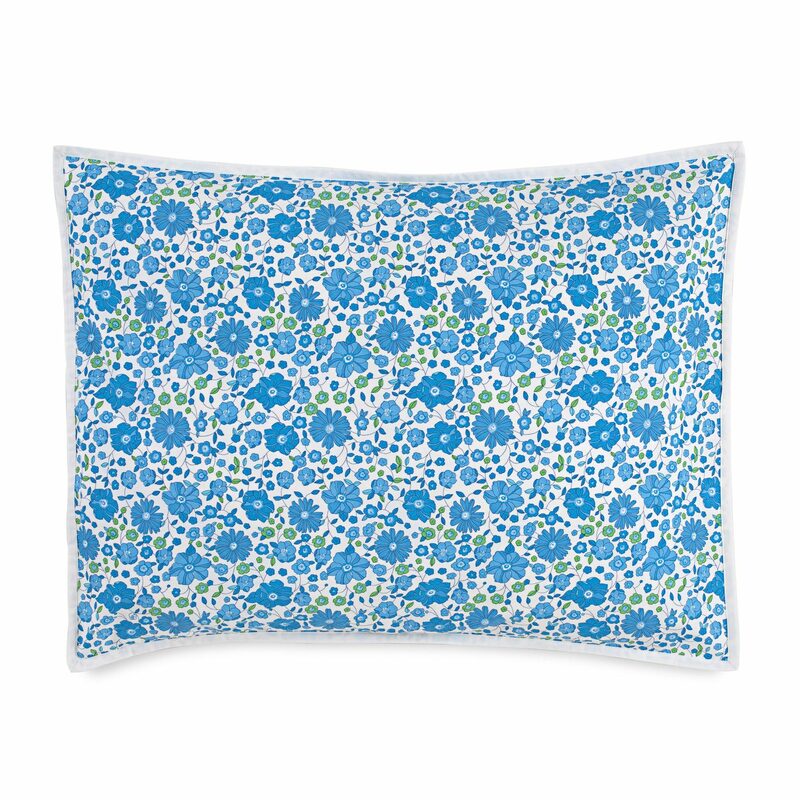 The cheerful blue floral pattern reverses to a complementary periwinkle pin-dot print that coordinates well with the matching standard sham(s) and bed skirt. 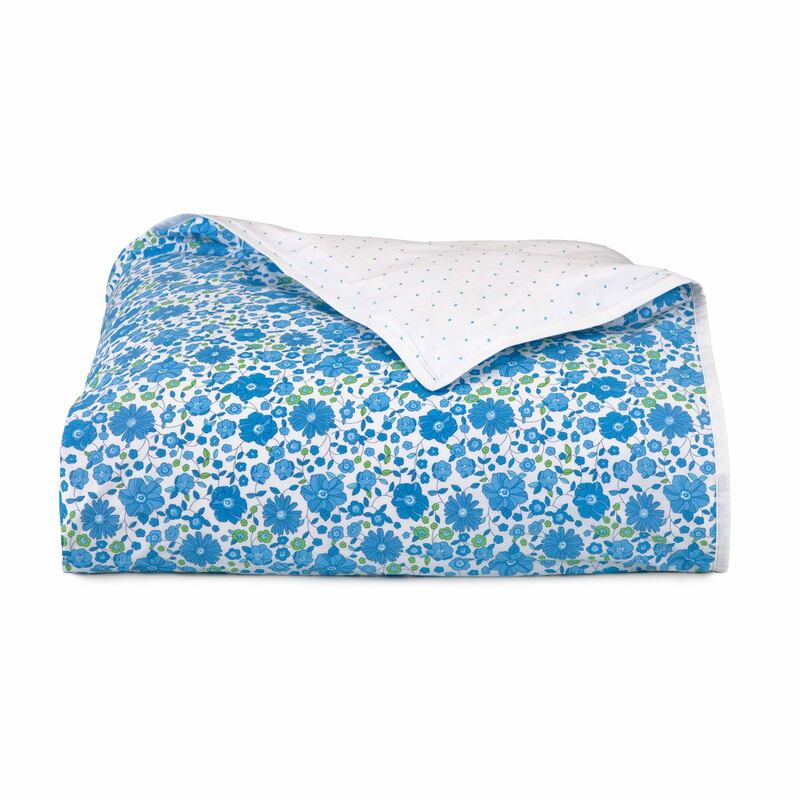 Made from 100% cotton percale, the Laurel Falls set is durable and soft. The sham(s) also feature the Laurel Falls floral print on the face and reverse to a pinstriped print. 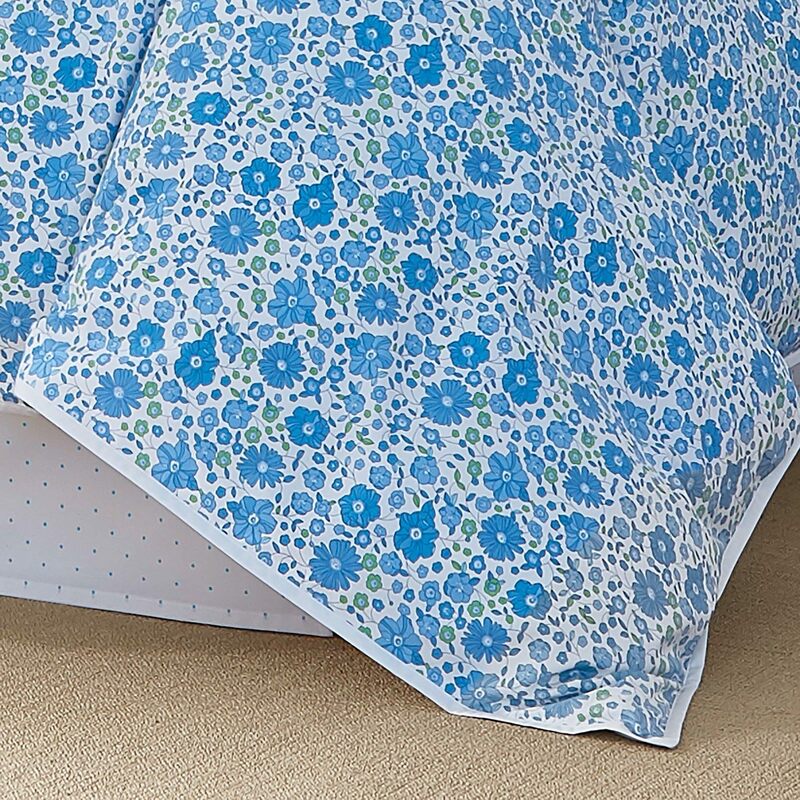 They have a button closure to keep them secure on your pillows, and are included in the Laurel Falls Comforter Set. Coordinating Laurel Falls White European Square Sham and Laurel Falls decorative pillows sold separately. 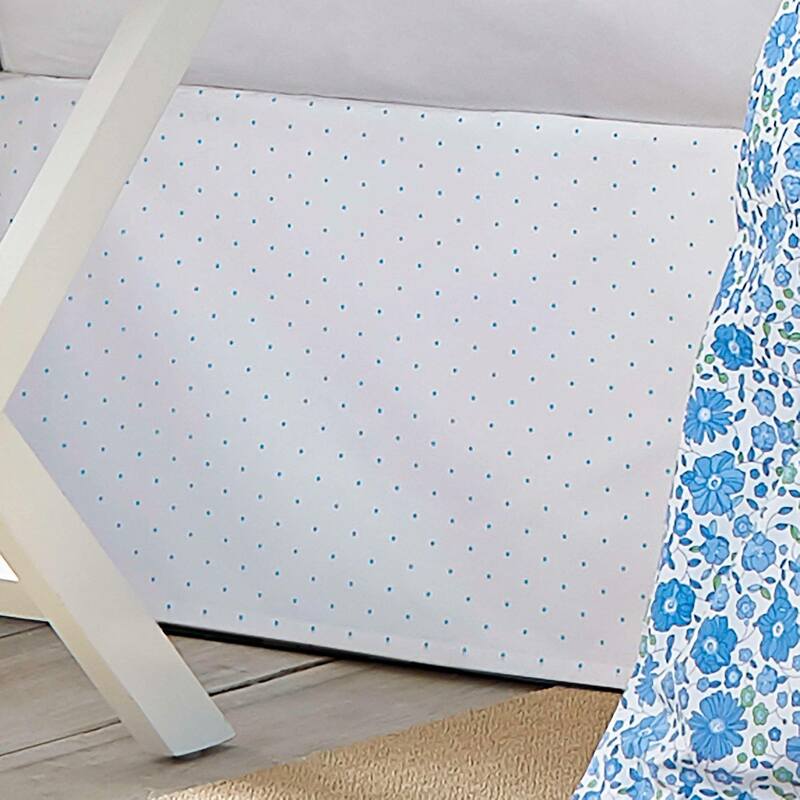 Twin: 68"W x 90"L; Shams: 20"W x 26"L; Bed Skirt: 39"W x 75"L; Drop: 15"
Full: 86"W x 90"L; Sham: 20"W x 26"L; Bed Skirt: 54'W x 75"L; Drop: 15"
Queen: 92"W x 96"L; Sham: 20"W x 26"L; Bed Skirt: 60'W x 80"L; Drop: 15"
King: 110"W x 96"L; Sham: 20"W x 36"L; Bed Skirt: 78'W x 80"L; Drop: 15"
Set includes comforter, two shams and bed skirt. Twin bed includes one sham. Care instructions: Machine Wash Cold In A Large Capacity Machine. Gentle Cycle. Wash With Similar Colors. Only Non-Chlorine Bleach When Needed. Tumble Dry Low In Large Capacity Machine. Remove Promptly.